Welcome to Ruma Rima: Welcome back to Term 3 . . .
Where did we spend our July holidays? 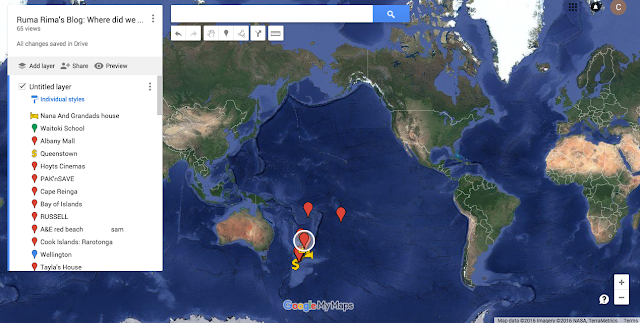 We've all had fun experimenting with 'Google My Maps' this morning, plotting places that we visited these holidays. Feel free to click on the + and - signs and explore our holidays map. Click on the icons and you might even see photos of places that we have visited.